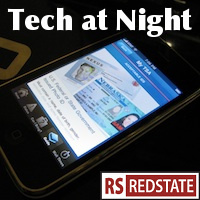 Tech at Night: The Snowden fallout continues. ECPA probably will pass, but makes no sense to me. European Speedster Assembly 2013: Games to Catch Tech at Night: How not to NSA-proof your email. ECPA reform doesn’t hinder FISA. Ajit Pai on E-Rate Reform. Russia is reacting to Snowden’s leaks. One wonders what he’s telling them. Here we go again. Having failed to pass the preferred bill of Joe Lieberman’s and Jay Rockefeller’s last time, Senate leaders are trying again on a cybersecurity bill. Any bill Senate Democrat leaders support is suspect, given their history of the Internet Kill Switch. There’s room for legislation, but by default I oppose their plans to expand the scope of government online. What is the social contract between a telecommunications firm and the public? To stick to old technology, or to innovate in the face of changing conditions? The union-led left wants us left behind technologically, as seen in the case of Fire Island. You see, Verizon wireless is not so unionized as the Verizon phone company is, so greater Verizon wireless service makes the unions unhappy. People come second to the needs of union fatcats. It seems to me a common sense reform that a government subsidy program would have a cap, including the now-repurposed Universal Service Fund. Greg Walden has the right idea. Surprise, surprise: FCC is being lobbied by the Defense department to shift government’s own communications upgrade costs to the private sector. For shame. Oops. Square Enix backs down on going after jailbreakers, after attempting to deter illegal distribution of their game to freeloaders. I guess they figure it won’t be successful enough to bother. That’s too bad. The looters win that round. Do online advertising firms have a responsibility to take steps to prevent the looters from profiting through their services? It seems they think they do, to a point, as they’re creating best practices to try to stop it. I think a bill like ECPA is going to pass at some point. There’s too much support for it. I’m not sure what I think of passing a law saying that email service providers basically act as extensions of yourself, in the sense that government searches of your email would now require warrants. Any old, free, throwaway email on Gmail controlled by a terrorist, but owned by Google-owned servers, should be as protected as an American’s actual, physical home? That doesn’t make sense to me.